Long Beach, Calif., Dec. 1, 2014 – The Rancho brand will release two new systems soon for the 2015 Ford F-150 4WD truck, including 6-inch (RS66501B) and 4.5-inch (RS66500B) systems that will help to maximize handling and performance off-road and provide a rugged, performance stance to the popular truck series. The new Rancho Ford systems will include a newly designed one-piece, re-inforced subframe, constructed from high-strength, low-alloy steel and precision designed for superior fit and finish. The 4.5-inch Rancho Ford F-150 suspension system will be released during December and the 6-inch kit will be released in February 2015. Rancho engineers also include CNC-machined, durable extended-length steering knuckles that maintain track width and ensure proper steering geometry. Each system includes CAD-designed components for a precise fit. The 6-inch kit also includes rear aft braces. The newest Rancho Ford F-150 systems – which easily accommodate 35-inch tires – will not affect the Ford AdvanceTrac® with RSC®* electronic stability control systems. Both of the new kits include rear leaf spring blocks. All Rancho brackets are manufactured using high-strength, low-alloy steel. No drivetrain or exhaust modifications are necessary to install the system. The Ford F-150 4.5-inch lift kit is compatible with Rancho RS5000™ shocks, RS7000®MT shocks and RS9000™XL shocks. 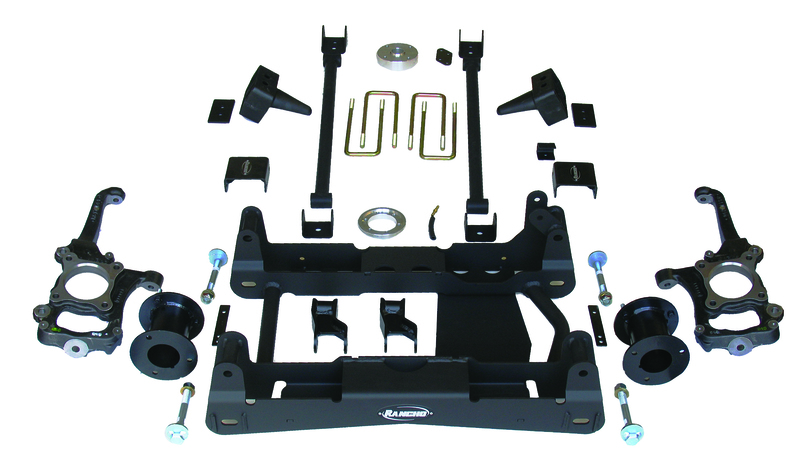 The Ford F-150 6-inch lift kit is fully compatible with Rancho RS7000MT shocks. Every Rancho suspension system includes all of the necessary components to complete the install and highly detailed, full-color installation instructions. The Rancho Ford F-150 suspension system is covered by the Rancho brand’s limited lifetime warranty. Please visit www.GoRancho.com for additional details and restrictions. The Rancho brand – one of the world’s leading brands of performance suspension systems and shocks – will celebrate its 60th anniversary in 2015. For additional information about the latest Rancho Ford F-150 suspension systems or any other Rancho product, please visit www.GoRancho.com, call 1-734-384-7806 or contact your nearest Rancho dealer. To locate a Rancho authorized reseller, visit the “Where to Buy” tab on www.GoRancho.com. 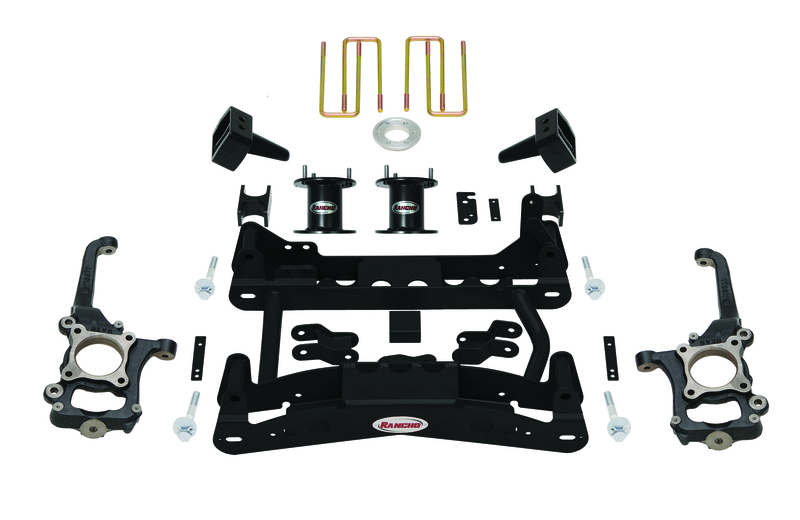 The Rancho product line is the performance ride control component and suspension system brand of Tenneco. *AdvanceTrac® with RSC® system is a trademark of Ford Motor Company.